Did the zipper on your favorite leather jacket, pair of pants, or tent break? And are you wondering where to buy zippers? 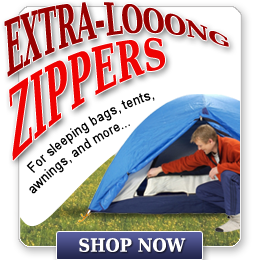 You don't want to spend hundreds of dollars buying a new jacket or tent, you just want to buy a replacement zipper from a quality zipper supplier. 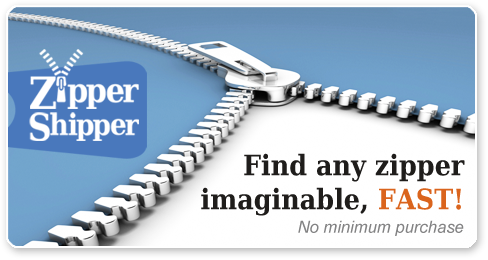 That's where Zipper Shipper Sewing Supplies comes in - we are zipper specialists, and offer a world of possibilities at your fingertips. 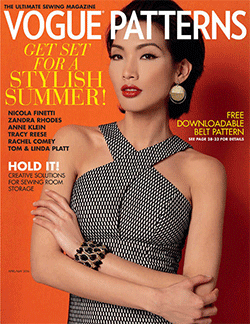 Is your sewing or apparel business taking off and you need wholesale zippers in a flash? We have you covered. You can buy bulk zippers whole sale or single zippers for sewing individually. There is no minimum order. Our metal, plastic, and nylon zippers are extremely customizable; they can be shortened, made reversible, you name it! 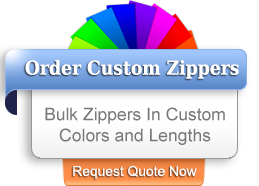 We also offer upholstery zippers, purse zippers, dress zippers, and all kinds of custom zippers in bulk at wholesale prices for professionals and crafters producing their own fashion lines. Thousands of our customers have found the perfect zippers and other sewing supplies for their projects. 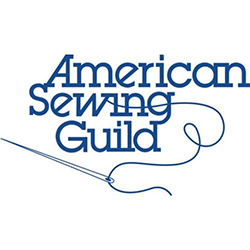 We make sure you can buy zippers online and buy other sewing supplies online as well with ease. Whether you are looking for wholesale zippers to outfit an entire marching band, or simply looking for a zipper replacement to repair a jacket or a favorite pair of chaps, we are your source for quality zippers and fast and friendly service! We look forward to being your zipper supplier. “This was a first order and we didn't know what to expect for the price. I was blown away when the lead seamstress said that the zippers were so much nicer and easier to work with than any others she had used." Our Customers Are "Sew" Happy!